Physical activity is very important for everyone because it helps us keep our body in shape and more importantly it is healthy. Everyone should be doing some kind of a physical activity because that is a very easy way to live a healthy lifestyle. With a healthy lifestyle, you will be feeling much better in your own skin. People that have some type of disability should also do some physical activity. Some people think that because they are disabled, they cannot do anything physically challenging such as sports. However, that is completely false because people that have disabilities can and should do some typo of sport, even if it is just for fun. The disability shouldn’t be the reason why someone is not doing any physical activity. Of course, there are some rare cases where people are completely disabled and unable to move at all, in those situations they really cannot do any sport. However, if your legs are disabled, that leaves you your entire upper body completely fine and capable of doing some sport. Some people with a disability sometimes make the mistake of avoiding doing exercises and sports just because they are disabled. That is not the way they should think, they need to think positively and try some sports that they can still do with their disability. If they are avoiding physical activity, their muscles that are fine will get weak over time because they are not used. If you are using muscles regularly and doing some exercises and workouts, those muscles will start growing and that way you can stay in good shape even when disabled. This is only one of many sports that people with disability can choose from. We mentioned basketball because it is the most popular one, everyone loves to play basketball. More importantly, with basketball, the entire upper body gets exercised. That way the muscles in the upper body will be growing and becoming stronger. People who tried out basketball or any other sport have said that they feel much healthier when they play a sport that they love. That might be because they got to experience something that they thought was impossible for them. 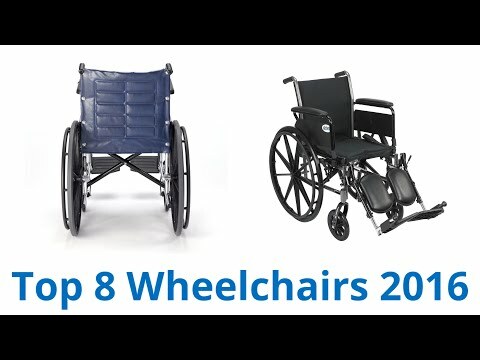 In order to do some of these sports, especially basketball or tennis where people need to move a lot, the regular wheelchairs are replaced with specially designed ones that are made just for sports. That is because the regular wheelchairs are not capable of moving so fast and they are not durable as the ones that are made for sports. The sports wheelchairs also have a very distinct design that allows them to take very sharp turns and they are made out of very durable but light material to allow the players to move very quickly on the field. These sports wheelchairs can be purchased in any regular shop that has wheelchairs. Some of the shops will have custom made wheelchairs that you can design with your own ideas. That way you will have your unique wheelchair and you will be able to stand out from the crowd.